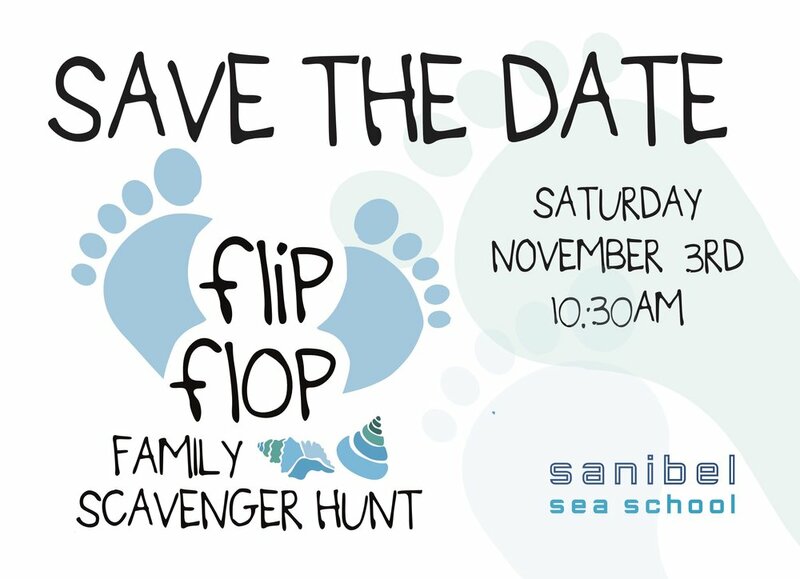 Save the Date for Sanibel Sea School’s first annual Flip Flop Family Scavenger Hunt, to be held on Saturday, November 3rd at 10:30 AM. The island-wide scavenger hunt will be full of laughs and fun challenges for participants of all ages, and will end with a bonfire celebration on the beach. “All proceeds from the event will support Sanibel Sea School’s scholarship fund,” said the organization’s Director of Development, Chrissy Basturk. “Families can come out and enjoy the day, while also feeling good about giving more children the opportunity to experience and learn about the ocean,” she added. Sanibel Sea School is a 501c3 nonprofit whose mission is to improve the ocean’s future, one person at a time. Event tickets are $25 per participant, and individual and business sponsorship opportunities are still available. To learn more and sign up, please call (239) 472-8585 or email info@sanibelseaschool.org.